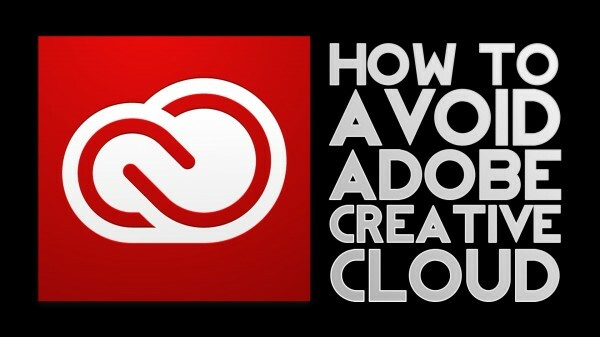 In this episode of DVTV, we follow up on the Adobe Creative Cloud debate and share ways to avoid having to subscribe to Creative Cloud. Casual users may find all the features they need by purchasing software like Adobe Photoshop or Premiere Elements or HitFilm. I casually require CMYK, Lab and layered TIF workflows for my business. Elements is not an option for me. Mandating that I rent Adobe software to upgrade Photoshop beyond CS6 is tyrannical on Adobe’s part. Tony, I agree with most of what you say but forcing people into a subscription model when they might have a) skipped upgrades (like 5.5 for example), or b) stop using software but then have to buy a subscription just to get to an old file is not customer-positive. It has nothing to do with being “entitled” or someone who really should be buying “elements”. (That was funny.) The issue is Adobe essentially substantially raised their price to people in either of those two camps. Overall, I’m not a fan of Creative Cloud aka Creative Suite Forced Subscription. I will be using CS6 until it’s no longer viable, and then reassess. I so resonate with your comment; how long do you think we have before CS6 is no longer viable? It seems to me that forced subscription is a rather counter productive idea, it may help Adobe stamp out pirating, but cause a loss of market share, is spite of Adobe’s status of brand leader.